I’m with Mr B…peas on the side but not inside! 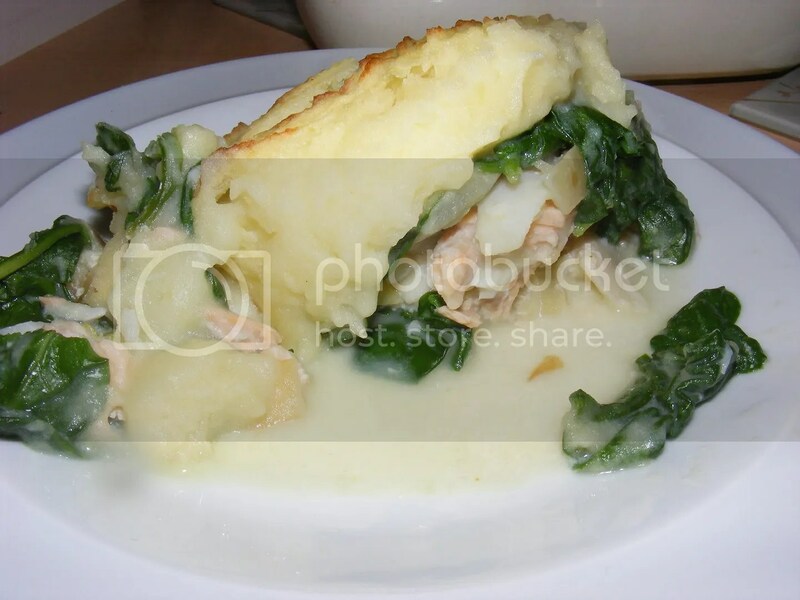 We just recently made fish pie and it was lovely (took us a few attempts to get it right) but very rich…this looks like a good low-fat alternative. I’m with Mr B on this with the exception that I like undyed smoked haddock in mine. I think the inclusion of spinach is an excellent idea. Hi, love your blog. I used your recipe as a base for my first fish pie tonight. A few changes. I didn’t poach the fish just threw in the sauce mix just prior to popping it all in the dish and cooked it a bit longer. To up the vegie content I threw in some peas( i too like them in not on the side) and chopped carrots. Finally although I came across your recipe while looking for low fat I finished it off with a sweet potato/ potato mash with a topping of cheddar cheese and crushed weeta-bix, sounds strange but its not bad at all. Not quite as healthy as I planned but my flatmate and I loved it! It looks wonderful. I’d prefer spinach I believe over peas. No one here but me would eat it however, so I’d have to make a very small version. This looks wonderful! I would never get my husband to ea it, of course, but it looks really great. He’s so friggin picky. I’m all for peas on the inside, btw. Bring ’em on! Sounds interesting – can you tell me what is leek? Fish pie was great, but laughed my socks off at the Squirrel Roast, thought it was a joke at first, but hey two squirrels in my garden and no money in the wallet, could be a first! J’ai perdu mon toasty petits pains pourrait vous aider à me trouver eux? I definitely accept that and think you presented some interesting and important arguments. 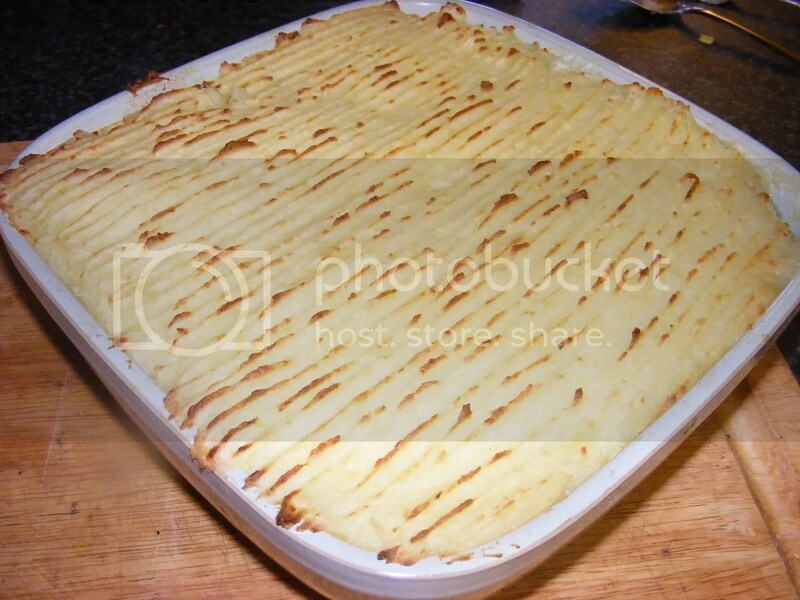 Of course, there are still issues which depend on your personal attitude towards Low-Fat Fish Pie 101 Things Every Cook Should Cook but still, thanks for your article. For the later, I would like to get some more contributions related to this subject and created in this well explaining language. Hopefully, I am not the only one giving you the regard for your blogging business, I will ensure this in a few days. So far, keep on working, I will surely come back. certainly like your website however you have to test the spelling on quite a few of your posts. Several of them are rife with spelling issues and I find it very bothersome to tell the truth however I’ll surely come again again. I agree with Assisted Living Tucson, spelling is very important…. The infamous Lloyd P. Provost & R. M. Sprout, Quality Progress [August 1996] who said the phrase Creative thinking should be viewed as an essential supplement to, though not a replacement for, critical thinking. Can you freeze the pie? It has become a part of the kitchen activity today. family will purchase ten conventional vacuums in a forty year period at a cost of $3,000.